→ The Nikon instant lens rebates in the US were extend and are now valid till March 29th. I doubt that they will be extended again. 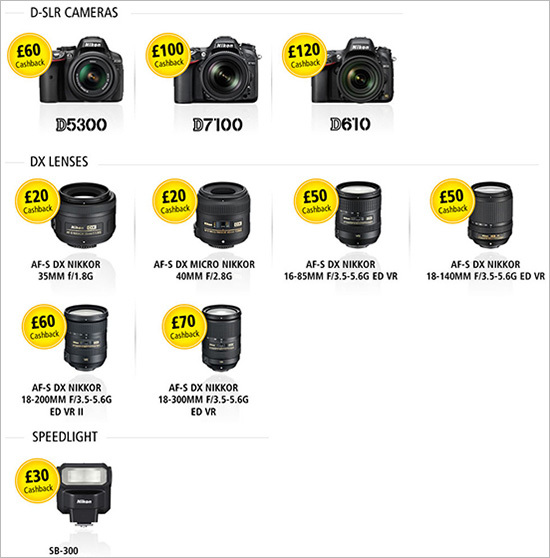 → The regular Nikon DSLR body + lens rebates were also extended. → Up to $500 off Nikon D7100 kits. → The Nikon D610 received a new $100 price drop and now sells for $1,896.95 (incl. free shipping, accessories and 4% rewards). The D610 currently sells for $1,716.79 on eBay (grey market). → The price of the Nikkor 24mm f/1.4G lens also dropped to $1,899. → Nikon 1 J1 camera with two lenses on sale for $229. → New Nikon Coolpix A camera for $659 (grey market). → New Nikon SB-910 for $455 (reg. $546.95). This entry was posted in Deals, Nikon D610. Bookmark the permalink. Trackbacks are closed, but you can post a comment.